One of the world’s top vacation spots, Cancun offers an endless array of attractions from beaches and coral reefs to dining, nightlife and luxury shopping. 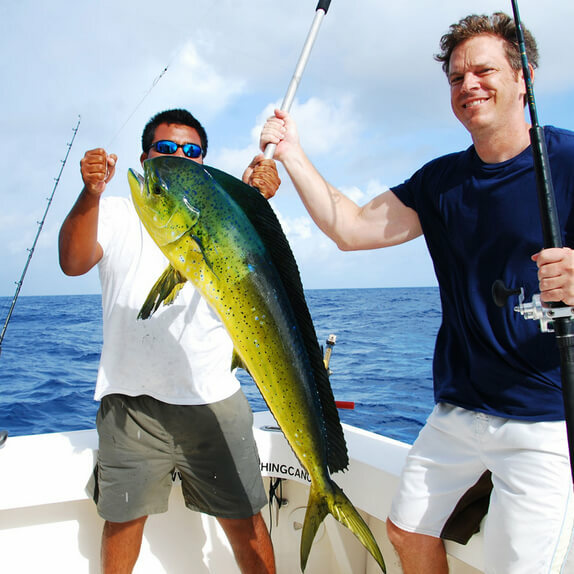 Once a desert island visited only by a handful of local fishermen, Cancun was selected in the late 1960s to be the site of Mexico’s first master-planned resort. The first hotels were inaugurated in 1974 and Cancun soon became a success. It has been the powerhouse of Mexican tourism for 46 years and it is still going strong. 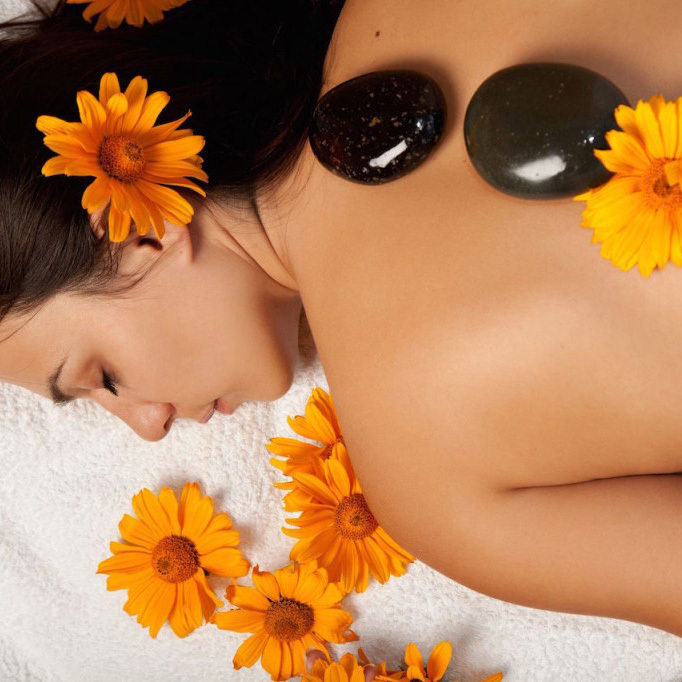 Cancun’s upscale shopping centers, restaurants and glittering nightlife are world-famous. 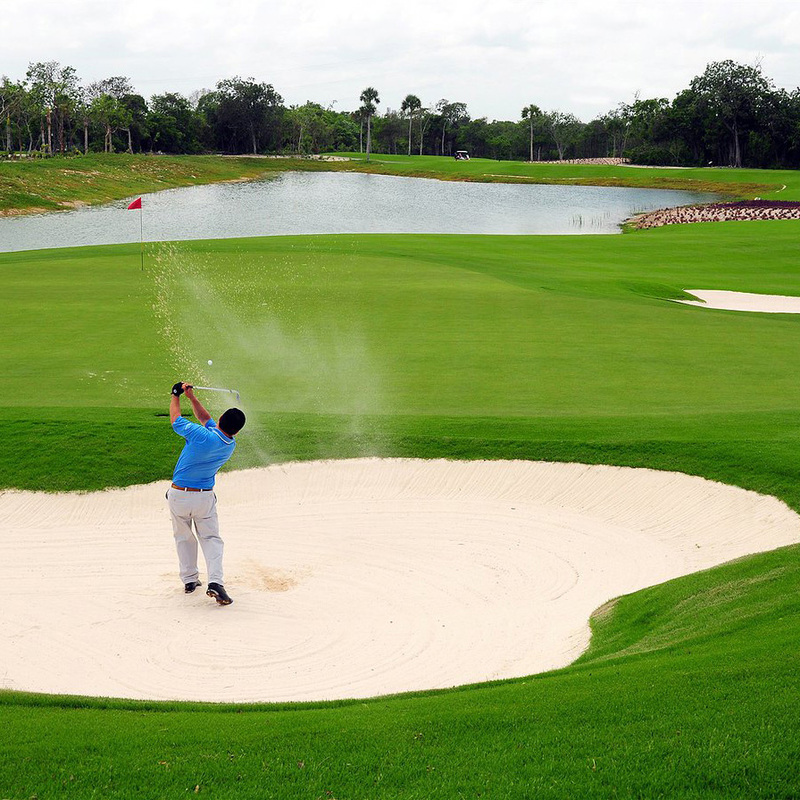 There are several championship golf courses in the local area, marinas, water fun parks and museums. More developments, including additional malls, are underway. Linked to the mainland by two bridges, Cancun Island where the Hotel Zone or Zona Hotelera is located is a long narrow strip of land shaped like a “7.” To the north is Bahía Mujeres or Mujeres Bay with Isla Mujeres visible in the distance; to the east is the Caribbean Sea and to the west, separating the island from the mainland and Downtown Cancun, is the Nichupte Lagoon, a 28.8 square kilometer system of lagoons, canals and mangroves that is a protected area. The Hotel Zone is home to more than 100 hotels and resorts, residential communities, shopping malls, nightclubs, restaurants, marinas and golf courses. The road through the Hotel Zone is called Kukulcán Boulevard, which is linked to the mainland by two bridges. The northernmost bridge spans the Nichupte Canal, just four kilometers from Downtown Cancun and the southern bridge crosses Nizuc Canal, connecting Kukulcan Boulevard with the road to the airport. 22 kilometers of pearly white sand with names like Perlas, Langosta, Tortugas, Gaviota Azul, Chac Mool, Marlin, Ballenas and Delfines await visitors. Several of Cancun’s beaches, including Playa Delfines where the iconic Cancun sign is located, have won the international Blue Flag award. Beaches along the shoreline facing the open Caribbean from Punta Cancun to Punta Nizuc are more exposed and breezier. Accordingly, the waves are larger when conditions are windy, and there can be undertow and currents. Always check the flags on the beach, yellow means it is safe to swim; if the red flag is flying you shouldn’t venture into the sea. Bayside beaches are sheltered and gently shelving with little wave action and are perfect for children. Protected by a national Marine Park, the chain of coral reefs in the bay between Cancun and Isla Mujeres and at Punta Nizuc is a great place to start exploring the wonders of the Mesoamerican Reef. With names like Manchones, Chitales and El Tunel and Punta Nizuc, these shallow water reefs are so accessible that divers can literally board the boat at 10 o’clock in the morning for the trip out to the site and still be back in time for lunch after having done a two-tank dive. Marine life ranges from elk horn and brain coral and gardens of sea fans to shoals of reef fish such as blue tangs, jacks and pork fish, sea turtles and moray eels. From international luxury brands in fashion, accessories, perfumes and cosmetics, gemstones and designer jewelry in gold and silver to Mexican crafts and textiles, art, tequila and even Cuban cigars, you’ll find that Cancun is a shoppers’ paradise. Hit the malls in the Hotel Zone, La Isla Shopping Village, Luxury Avenue at Kukulcan Plaza and Plaza Caracol are the most important shopping spots in the Hotel Zone. Downtown, Malecon Las Americas also has department stores, boutiques and international brands. For more shopping therapy, a day trip to Riviera Maya capital Playa del Carmen and a stroll along the famous 5th Avenue fits the bill. If you are looking for Mexican crafts, you’ll also find plenty to choose from when visiting Valladolid and Merida. Watch the sunset from a lagoonside restaurant such as Captain’s Cove and then get ready to enjoy Cancun’s pulsating nightlife. 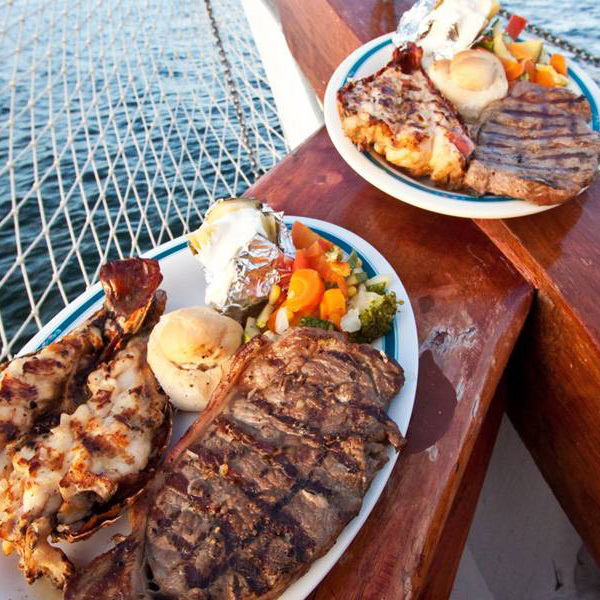 How about a lobster dinner cruise on a Spanish galleon or a swashbuckling party on a pirate boat? 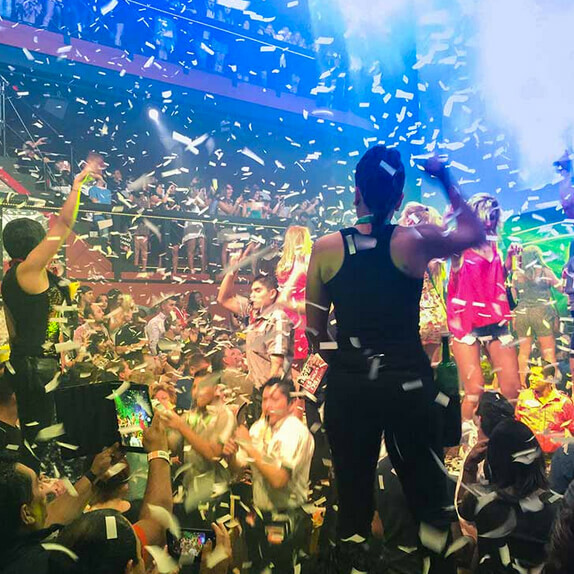 Dance until the early hours in one of the famous nightclubs such as Coco Bongo on Punta Cancun or listen to soft jazz, live rock or reggae at a local bar. Wherever you go there’ll be mariachis waiting to serenade you and for a taste of colorful Mexican culture spend the evening in Xoximilco Park. Inspired by the famous floating gardens of Xochimilco on the outskirts of Mexico City, at this park you’ll enjoy a dinner cruise and Mexican fiesta along canals on board colorful barges known as trajineras. 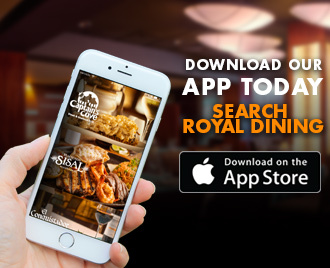 And when it comes to dining, take your pick! All the world’s cuisines from Mexican and Italian to Thai are dished up at Cancun’s myriad restaurants. Caribbean seafood is the order of the day and you must try Mexican cuisine, so diverse and vibrant that it is included on the World Heritage list. If you are staying at Royal Resorts, check your copy of the Concierge Guide during your Cancun or Riviera Maya vacation for great restaurant recommendations. The majority of Cancun’s 900,000+ inhabitants live in the bustling city on the mainland. Downtown Cancun has several universities, hospitals, shopping malls, movie theaters, supermarkets and many more restaurants and bars. It is also home to a champion baseball team, a football and basketball team. Cancun has a Planetarium and a small museum in Kabah Park with exhibits on the birth of Cancun and the massive development project that took place in the Hotel Zone in the 1970s. A Cancun icon, the Underwater Museum of Art is a collection of around 500 sculptures submerged at different locations in the Marine Park, near Punta Nizuc, Manchones and Chitales reefs. Created by British sculptor Jason deCaires-Taylor, the Cancun Underwater Museum of Art is the largest of its kind in the world. The most famous of deCaires-Taylor’s sculptures is The Silent Evolution, 450 life-size statues depicting real people in the Cancun community. Others that are equally impressive and have their own message are The Gardens of Hope, The Anchors, The Last Supper, Anthropocene and Reclamation. Apart from their artistic merit, the figures are providing a habitat for reef dwellers such as corals, sponges and algae to colonize, in time attracting other creatures such as small fish, octopus, crabs and lobsters. This beautiful new attraction for snorkelers and divers is alleviating some of the visitor pressure on some of the most popular local reefs. Since the museum opened, additional statues by other artists have been submerged and the collection continues to grow. 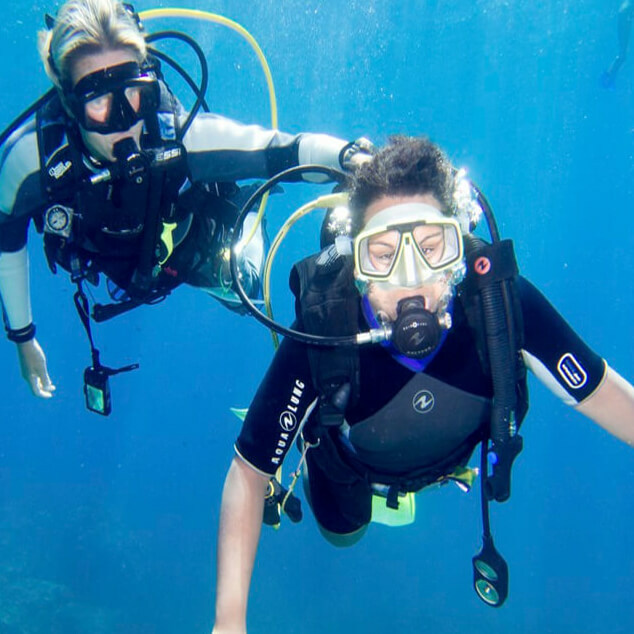 Snorkeling and dive trips are available to the museum at local marinas. The Underwater Museum of Art also has a Visitors Center at Kukulcan Plaza for those who want to learn more about this unique attraction and how it took shape without getting wet. 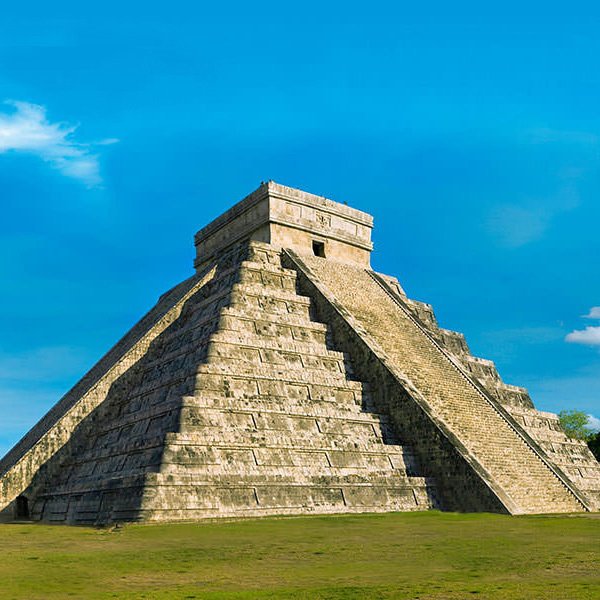 Visit the Cancun Maya Museum for an introduction to the ancient Maya civilization. There are exhibits of ceramics and other artifacts excavated at archaeological sites in the Cancun area, Tulum, Coba and southern Quintana Roo, the neighboring state of Yucatan and further afield in southeast Mexico. Located next to the Cancun Maya Museum and included in the admission fee, this small site comprises several temples in jungle clearings. Start your Mayan discoveries at El Rey, on the shores of the lagoon next to Iberostar Cancun Golf Club. The largest of the archaeological sites in Cancun Hotel Zone, it was the ceremonial center for a chain of smaller settlements that earned their livelihood from fishing, agriculture, bee keeping and trade. It reached its peak during AD 1200 and 1350. There are 16 buildings of which Structure 38 is the best preserved, two plazas and two sacbes at the site. The name “El Rey” refers to a stone and stucco head found in a tomb at the site, which is thought to be that of an ancient leader or priest. During your visit to the site, keep a look out for huge iguanas sunbathing on the ancient temples. Other Mayan sites in the Hotel Zone are on the Cancun Golf Course, also known as Pok-Ta-Pok (ball game in Maya) and Yamil Lu’um. The largest archaeological site in the Cancun area is El Meco, located to the north of Downtown Cancun, between Puerto Juarez and Punta Sam. To date, 14 buildings have been restored at this Post-Classic site. The principal temple has views of the Caribbean and the Chachmochchuc lagoon. You cannot spend time in Cancun without visiting sister island Isla Mujeres, a short boat ride across the bay. 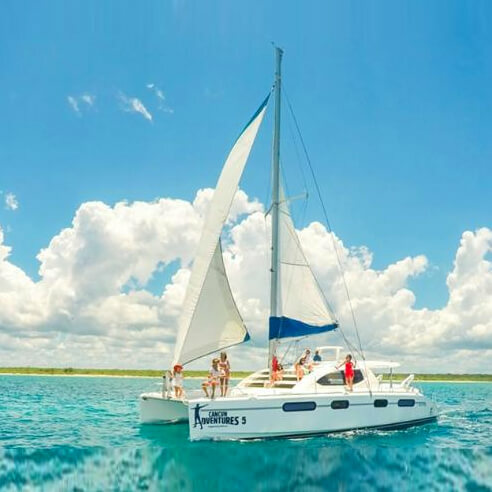 Isla’s charms include Playa Norte, one of the most beautiful beaches in Mexico and the world, coral reefs and the lively fishing village with colorful Caribbean wooden houses. Rent a golf cart and tour the tiny island. Swim with the dolphins at Dolphin Discovery or spend the day at El Garrafon Park. At Hacienda Mundaca, you’ll see the ruins of an estate house that belonged to Fermin Mundaca, a pirate who fell in love with an island girl and made his home on the island. Crowned by the ruins of a temple to Ixchel, the Mayan goddess of fertility, Punta Sur is a spot for breathtaking views of the Caribbean and the Cancun skyline. Passenger ferries make the crossing to Isla Mujeres throughout the day from Puerto Juarez, 10 minutes to the north of Downtown Cancun. 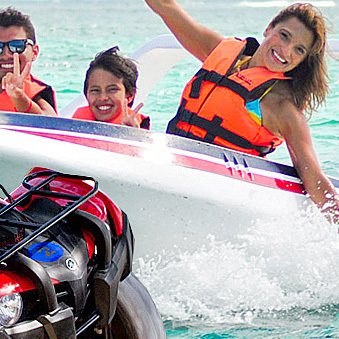 Boats are also available from El Embarcadero, Playa Tortugas and Playa Caracol in the Hotel Zone. A car ferry departs from Punta Sam, 10 minutes north of Puerto Juarez. 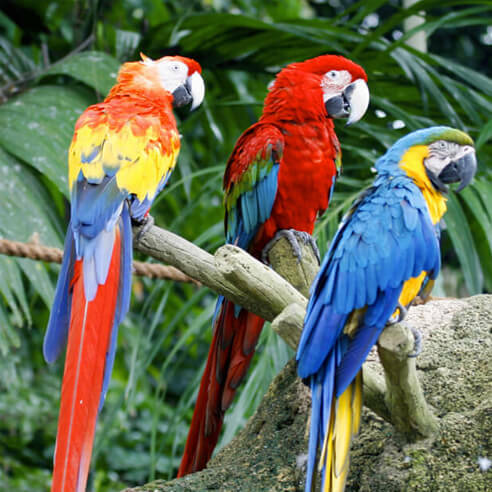 A two-hour boat ride to the north of Cancun, the island of Contoy is a beautiful and tiny desert island that is an important bird sanctuary and home to 150 species of native and migrant birds. Sea turtles, dolphins and manta rays are found in the waters around Contoy and the whale shark, the world’s largest fish, is a summer visitor. Eco trips are available and include snorkeling, beach time, a nature walk and a visit to see the birds in the mangroves.